One of the prime reasons for ERP implementation failure in any organization is because the software doesn’t meet basic industry-specific business requirements. Choosing an ERP solution that meets your specific business requirements, a proper planning and execution will enable you to have a smoother and successful ERP implementation. However, there are many challenges while implementing school ERP. The main challenge or issue related to ERP is the budget related issue. Before implementing the ERP in schools, it is very important to assess and understand the budget of the school. The cost of ERP software and the aftermath process followed like planning, customization, configuration, testing and implementation is quite high which differ from institution to institution. Hence it is very crucial for institutes to have a blueprint of the cost, the process of installing and implementation. Despite all this, it has to be understood that ERP implementation can reap benefits. 1) Data Migration: The biggest challenge in implementing school ERP is the data migration. It is very crucial for the management to decide on what data should be uploaded in the database system. A clear analysis of the complete data available has to be done to determine which data is needed and to be uploaded to the database. The important data related to student admissions, fee collections, student attendance, student report cards, etc., for the current academic year and also previous years, needs to be uploaded. After the data is entered into the database, check for the accuracy and completeness of the data. 2) User Requirements: The ERP software should meet the requirements of the school processes which may differ from school to school. It should handle the functions like managing admissions, managing courses, student-based information, timetable management, online exam, conveyance management, attendance management, fee management, teacher/parent login, student login and result management. It should also enable different people from different departments and places to view and access the information from anywhere. 3) Internet Connectivity: Another biggest challenge while implementing school ERP is the internet connectivity. The school ERP is generally web-based and hence good internet connectivity that supports the systems and good systems that support the software has to be provided. 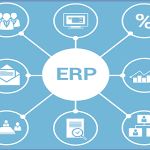 The ERP system should also integrate with your existing software that your organization is using. 4) Training: The crucial step that decides the progress of the successful school ERP implementation is the role of end-users. All the teachers, technical and non-technical staff must know how to use the school ERP and utilize it to the fullest. So, hands on training should be given to the staff and the end-users handling the ERP project for successfully implementing school ERP. The ERP vendor should have a dedicated technical team who would assist the schools throughout the implementation process. 5) Monitoring: A continuous monitoring post-implementation process is often recommended by schools. The ERP vendor should monitor the usage for about 3 months post implementing school ERP and address the issues. If needed, the technical team should entertain the requests from schools by making senior product experts available to them when they want one. MyClassboard has successfully met the challenges and always stood a step ahead making the entire process of ERP implementation feasible. Despite the challenges, MyClassboard was triumphant in implementing its ERP software in many schools and earned the recognition and gained the trust of many customers by becoming the most widely trusted software across the nation.